What sets FireCatt apart from the competition? FireCatt’s resolute commitment to pursue, innovate and provide the most advanced, reliable testing technology and customer experience in the industry. 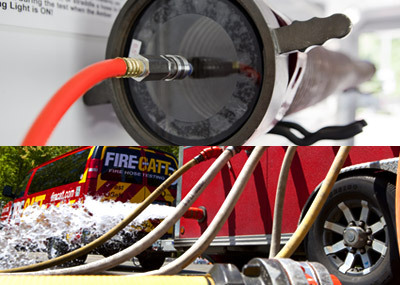 FireCatt’s goal is clear-cut: To give first responders peace of mind that the equipment they use to save lives has been tested to the highest standards. 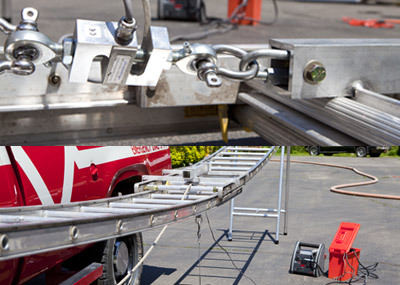 Precision ground ladder testing employing digital load cell technology designed to meet NFPA 1932 standard, latest edition. Full structural, mechanical (hardware) and load bearing inspection and strength tests. Identification number assigned using a barcode on each ladder and fastening an approved heat sensor. The Mobile Test Labs are engineered to precision test nozzles for pressure and flow testing per NFPA 1962 standard, latest edition. Base nozzle pressure testing, inspection for waterway obstruction, damage to tip, proper shut-off valve operation, thread gasket condition. 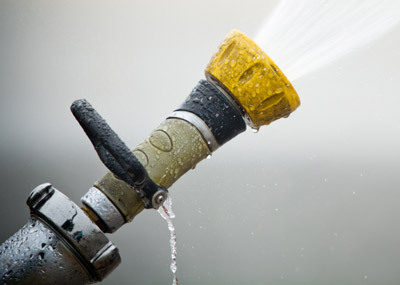 Identification number assigned using a barcode on each nozzle and appliance.